Riverside Library: Matt Christopher Books are a Big Hit! Matt Christopher Books are a Big Hit! 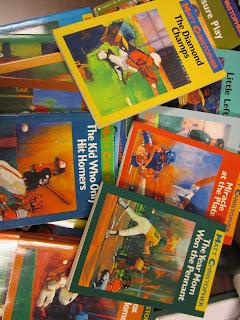 Many students have been asking for MORE Matt Christopher books in the library! The Author 'Matt Christopher' writes mainly stories about kids and sports. The Riverside PE teacher, Mr. Slater, overheard students asking for more Matt Christopher and donated his entire collection of Matt Christopher books! Thank you Mr. Slater!